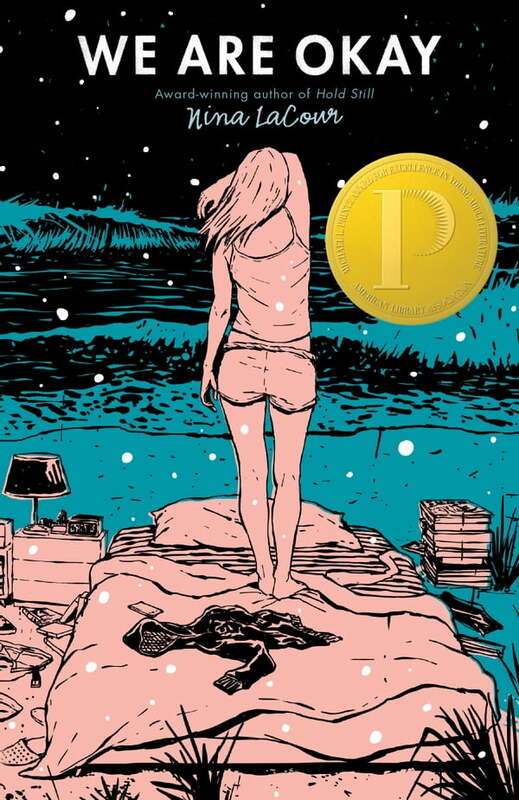 **Winner of the 2018 Michael L. Printz Award — **An achingly beautiful novel about grief and the enduring power of friendship. *You go through life thinking there’s so much you need. . . . Until you leave with only your phone, your wallet, and a picture of your mother. *Marin hasn’t spoken to anyone from her old life since the day she left everything behind. No one knows the truth about those final weeks. Not even her best friend Mabel. But even thousands of miles away from the California coast, at college in New York, Marin still feels the pull of the life and tragedy she’s tried to outrun. Now, months later, alone in an emptied dorm for winter break, Marin waits. Mabel is coming to visit and Marin will be forced to face everything that’s been left unsaid and finally confront the loneliness that has made a home in her heart.